REHOBOTH BEACH, Del. 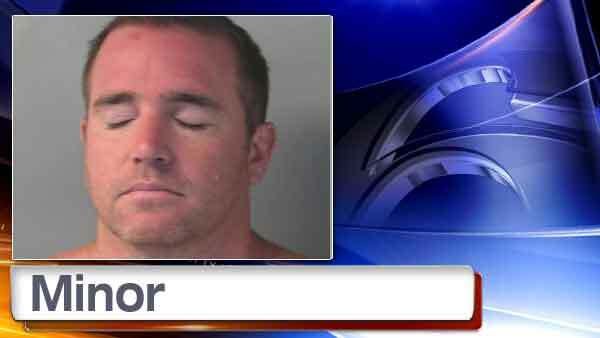 -- A Wilmington man is facing charges after police say he grabbed a little girl he didn't know and repeatedly dunked her in a swimming pool at a Delaware motel. Police arrested 42-year-old Kevin Minor at the Oceanus Motel in Rehoboth Beach on June 25. Minor was allegedly intoxicated when police say he grabbed a 6-year-old girl by the waist and dunked her several times in the pool. The incident scared the little girl and her mother, who police say did not know the suspect. Minor was charged with Reckless Endangering 2nd Degree, Offensive Touching and Disorderly Conduct. He was evicted from the motel and is in jail on $2,000 bond.